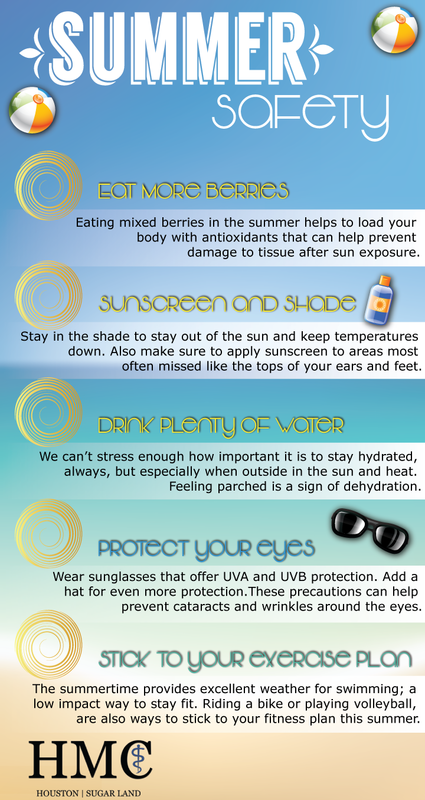 Summer is here and while there is fun to be had, beaches and pools to enjoy, and sports to be played we ask that you use caution to stay healthy in the southern sun. Many of the emergencies that occur during the summer could have been avoided if only a few simple steps were taken. Hillcroft Medical wants you to play it safe and still have a great time this year.